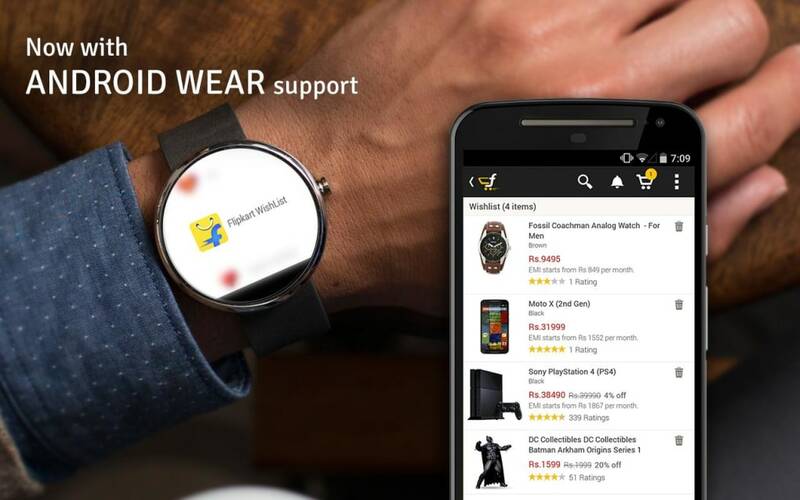 Designed for shopping in the Indian market, Flipkart is a nice looking app that allows you to share and discuss possible purchases with friends. Bar a few little interface niggles it is seems really good, however that is about all I can say because - not being in India – it’s about as useful to me as a sale in a tobacconists. And, in case you were wondering, I don’t smoke. 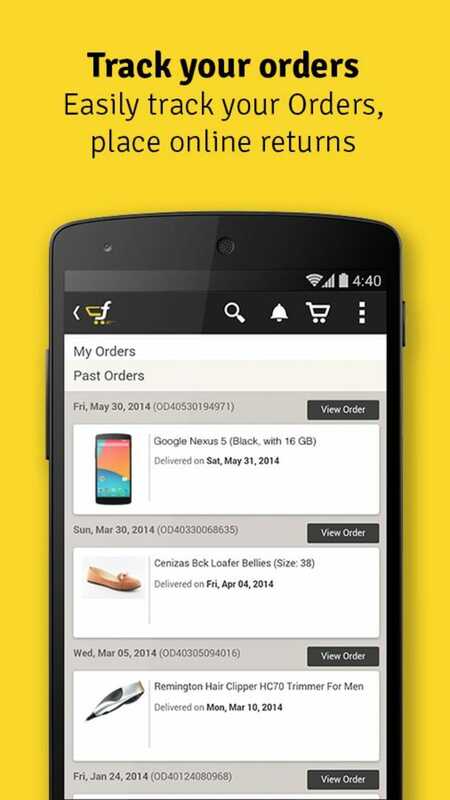 Flipkart functions like any other mobile market place app. 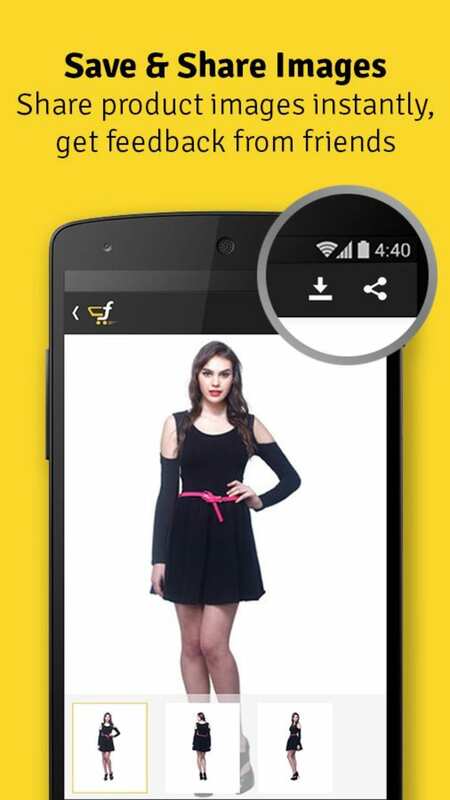 You can easily scroll up and down its pages with swipe, and it moves smoothly. 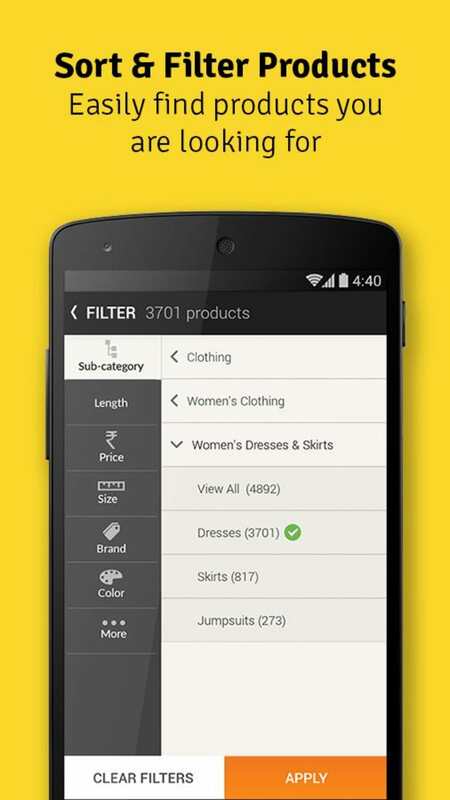 Products are listed by category and can be easily searched with either a few taps or by filling out the search field. Listings are clearly laid out, with images and prices shown. 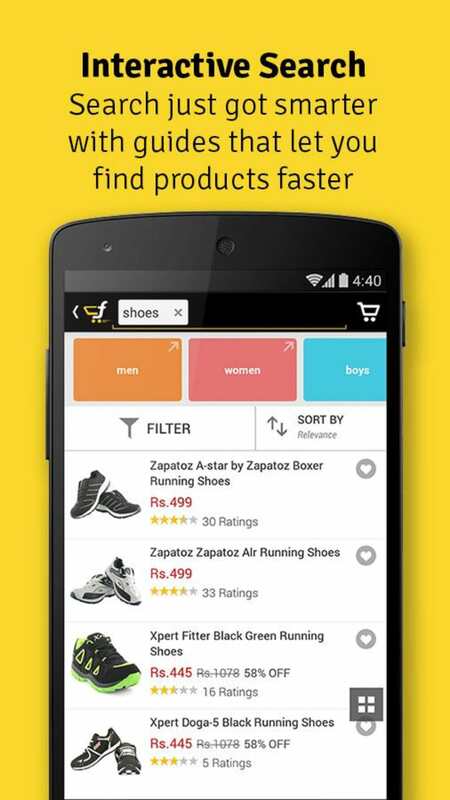 Tapping on any of these takes you to the product’s page, where further information can be discovered. This includes the sellers location, postage options, and the ability to check if they deliver to your area. 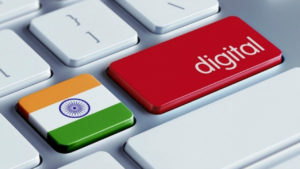 Hint: they defiantly don’t if are outside India. Also be warned, if you leave something in your cart and have push notifications turned on, expect regular alerts. 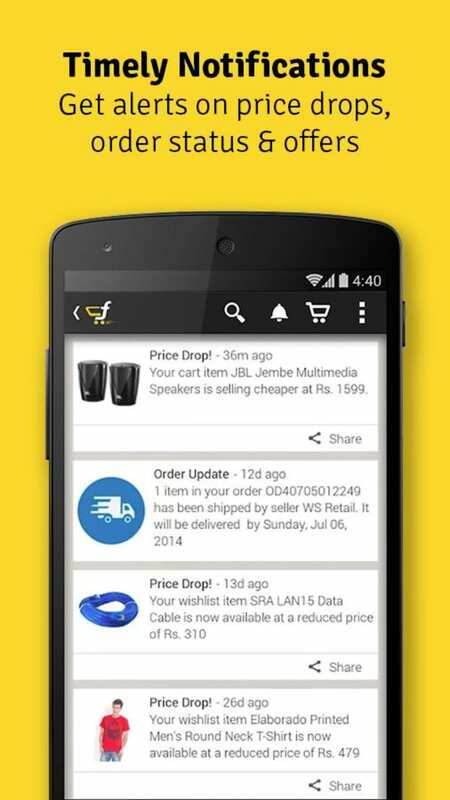 Perhaps the most interesting thing about Flipkart are its social hooks. 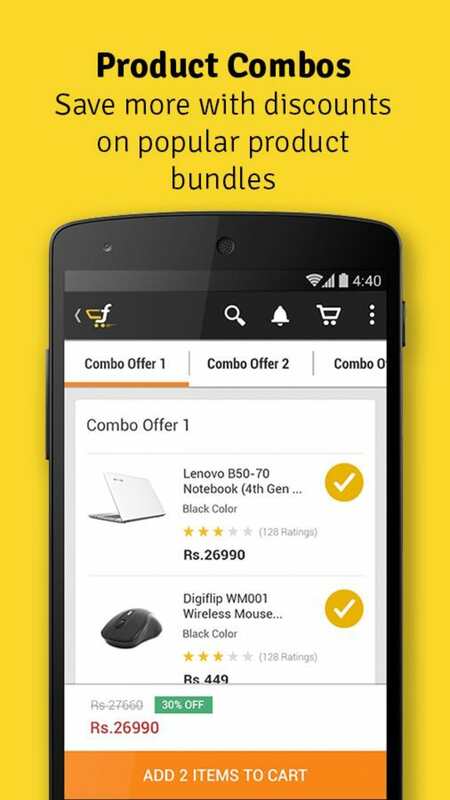 Any items you are thinking of purchasing can be shared with your friends to get their opinion. Obviously they must be on the service to use this properly, although I am not convinced that it won’t SMS your contacts to build its audience. Again, as I am not in India this was tough to check, but it looks like a nice addition to the usual shopping experience. The only real complaint with the app comes from a few small usability issues. Adding terms to the search function is fiddly, regularly demanding I delete what is there and starting over rather than refining the search. It is also worth mentioning that occasionally the formatting on products pushes information off the screen in a way that wouldn’t allow it to be scrolled to. 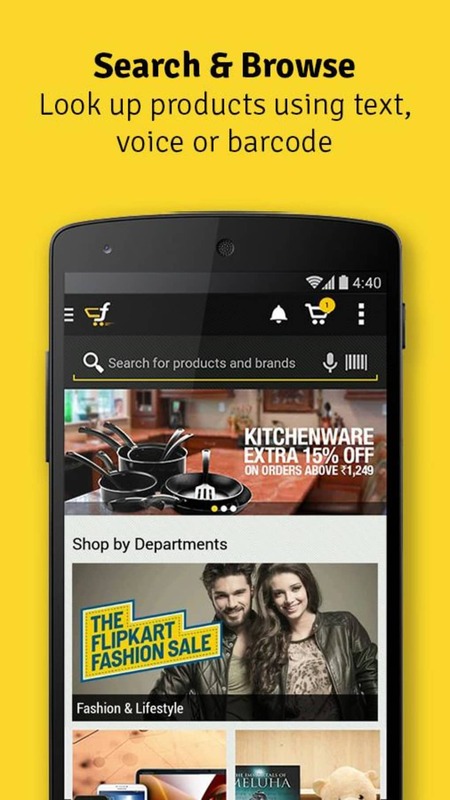 If you live in India, and already shop with Flipkart, this app seems great. 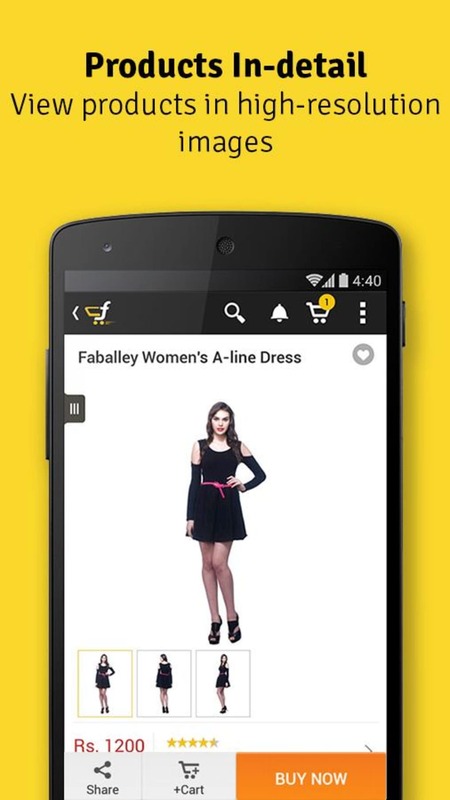 Plus, it social hooks seem good for digital shopping with friends. 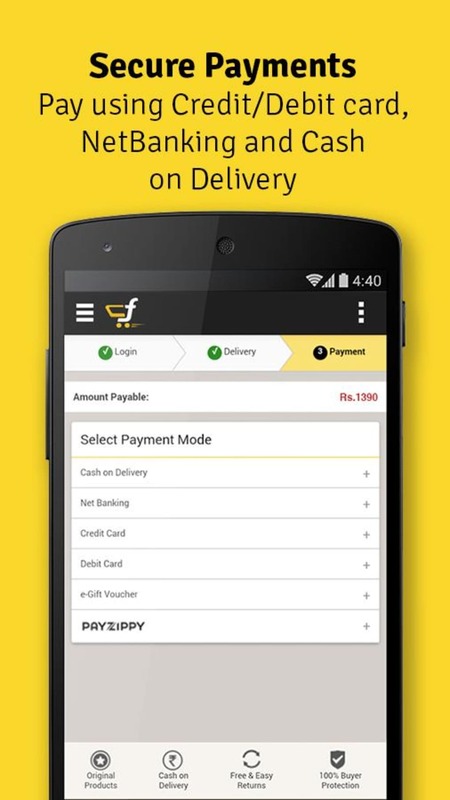 What do you think about Flipkart? Do you recommend it? Why?